So, I think we can all agree that when you’re a mom you become a master at multi tasking. Am I right? Juggling schedules and trying to complete multiple tasks at the same time is the new norm. 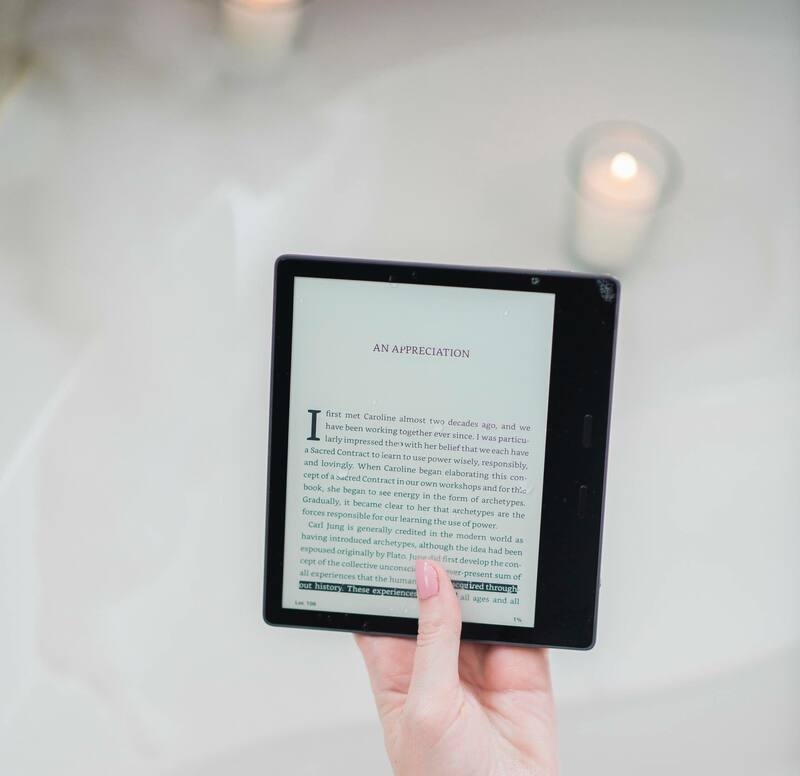 When I heard Kindle came out with the new Kindle Waterproof Oasis I was pretty excited to try it out because it allows me to multitask in the most relaxing way! I mean, who doesn’t want to enjoy a nice hot bath and a good read at the same time? It doesn’t get more relaxing than that! Ok, maybe throw in a glass of wine and now you’ve got 30 minutes of pure bliss. The Kindle Oasis is nice and lightweight but my favourite part (aside from the fact that it’s WATERPROOF) is that it doesn’t have a glare. That’s always been my concern with reading off of a screen, thanks to headaches and vertigo. It’s no different than flipping through your favourite paperback books. Well, it is different…It’s better. 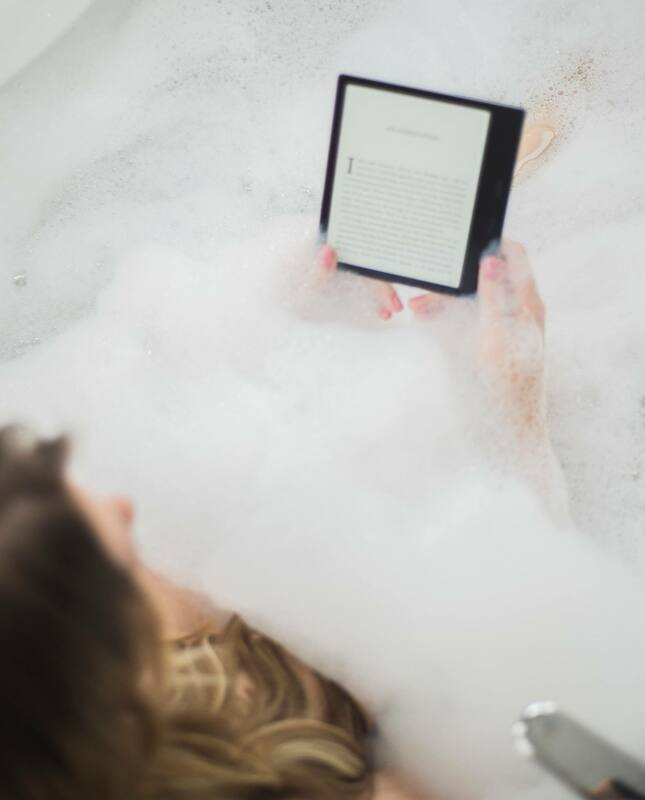 All of your favourite reads are stored in one place, you can read them anywhere (including the bath) and it eliminates so much clutter in your home. 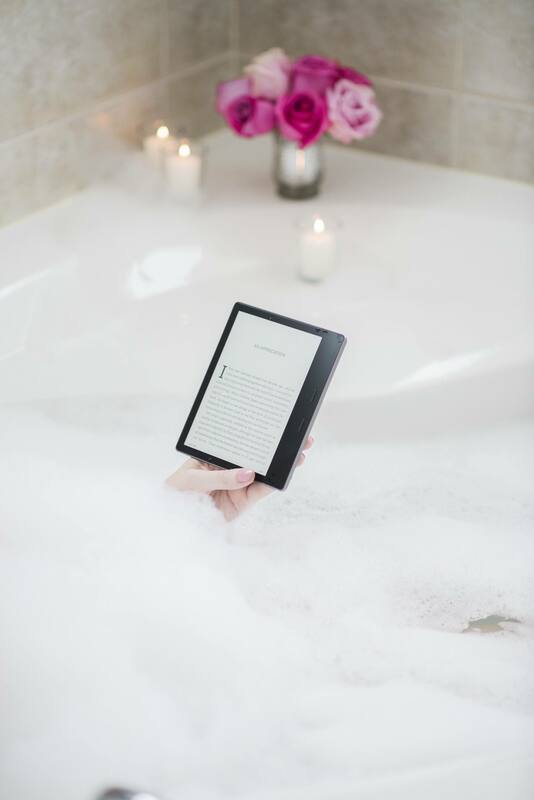 If you love books, baths and relaxing you’ll enjoy this device. You have so many great reads at your fingertips. 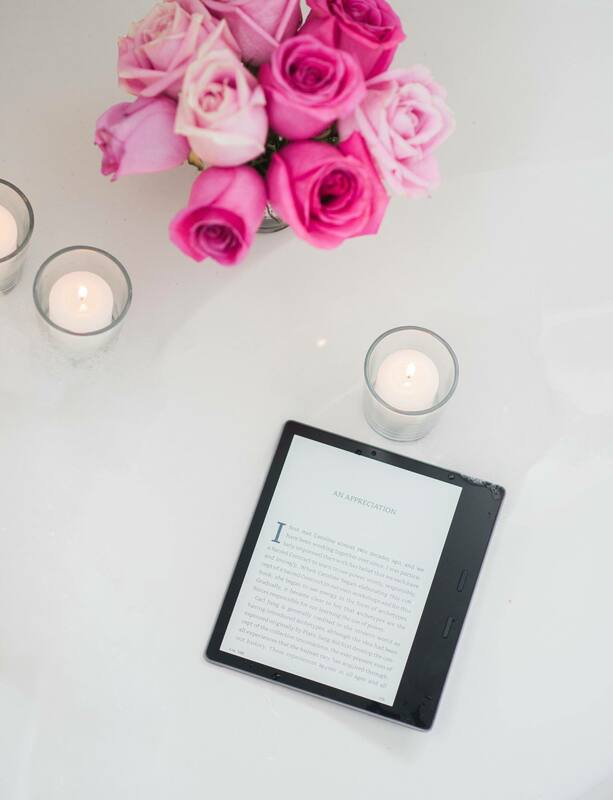 The Kindle Oasis is the perfect size to throw in your bang and bring with you anywhere…whether you’re a busy mom on the go, travelling on a business trip, reading in a coffee shop or just at home I guarantee you will love it! Now, what are your favourite books so I can start downloading? !